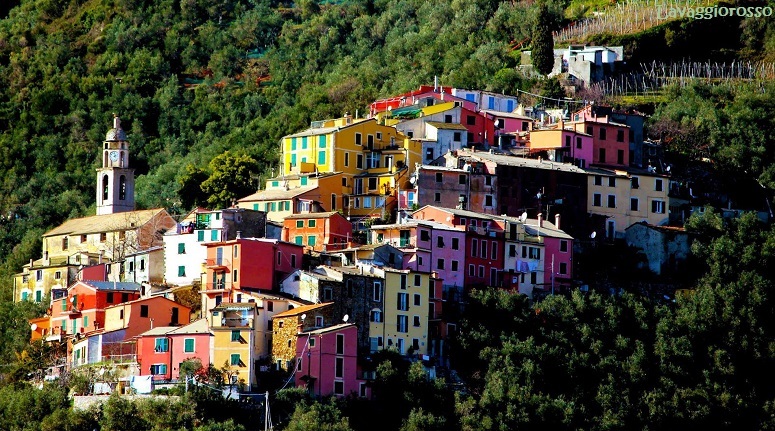 Liguria is a multi-faceted region where differences creates an array of things to see. 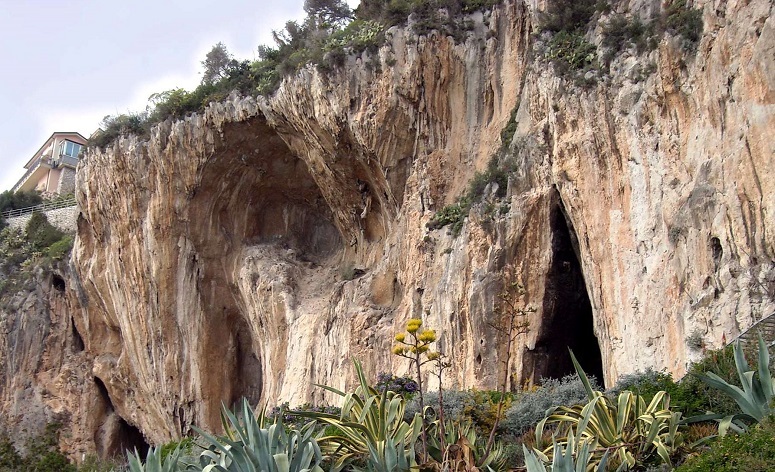 The narrow strip of land is bordered by the sea, the Alps and the Apennines mountains, some of which rise above 2000 m.
Traces of Neanderthal Man were discovered in the region of Loano, whereas in Ventimiglia, in the grotto of "Balzi Rossi", numerous remains were found which recall those of Cro-Magnon Man. It was one of the most powerful maritime republic in the Mediterranean from the 12th to the 14th century. Between the 11th century (when the Genoese ships played a major role in the first crusade, carrying knights and troops to the Middle-East for a fee) and the 15th century, the Republic of Genoa experienced an extraordinary political and commercial success (mainly spice trades with the Orient). In late 19th and early 20th century, the region’s economic growth was remarkable: steel mills and ship yards flourished along the coast from Imperia to La Spezia, while the port of Genoa became the main commercial hub of industrializing Northern Italy. The coastal region is very popular with tourists for its beautiful beaches, picturesque towns, and cuisine. Portofino in the province of Genoa on the Italian Riviera, is a vacation resort famous for its picturesque harbor and historical association with celebrity and artistic visitors.The town is known for the colorfully painted buildings that line the shore. 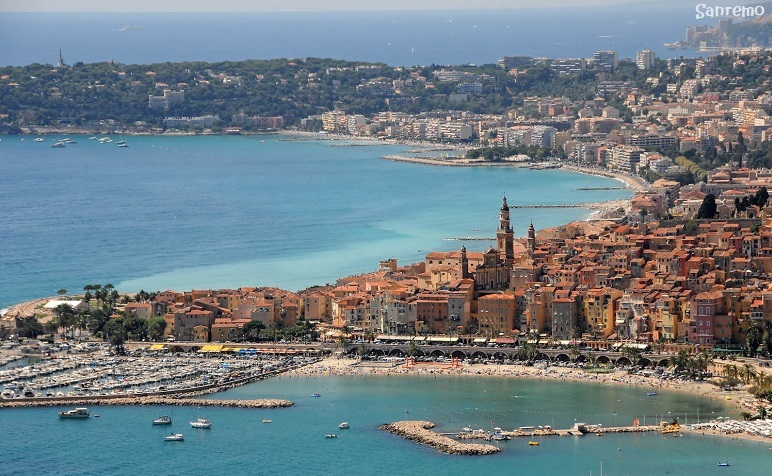 Sanremo (in the province of Imperia) is one of Italy's most famous bathing resorts and the place where the annual Italian pop music festival takes place. 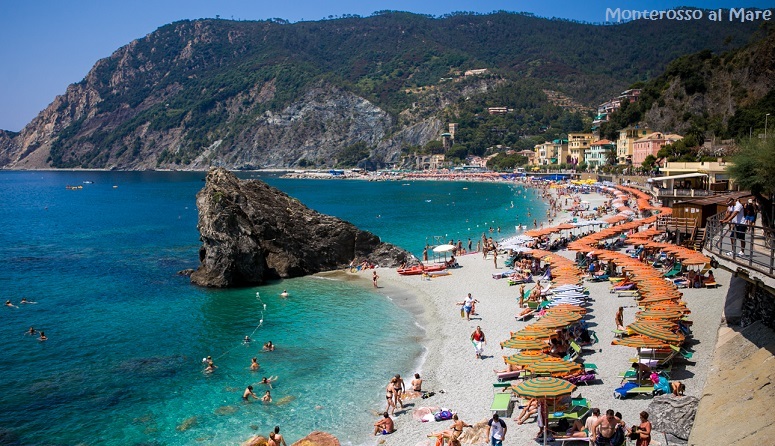 The coastline also includes the world heritage site of the Cinque Terre in the province of La Spezia - ​The district encompasses five glorious towns, where small houses are surrounded by lush nature. 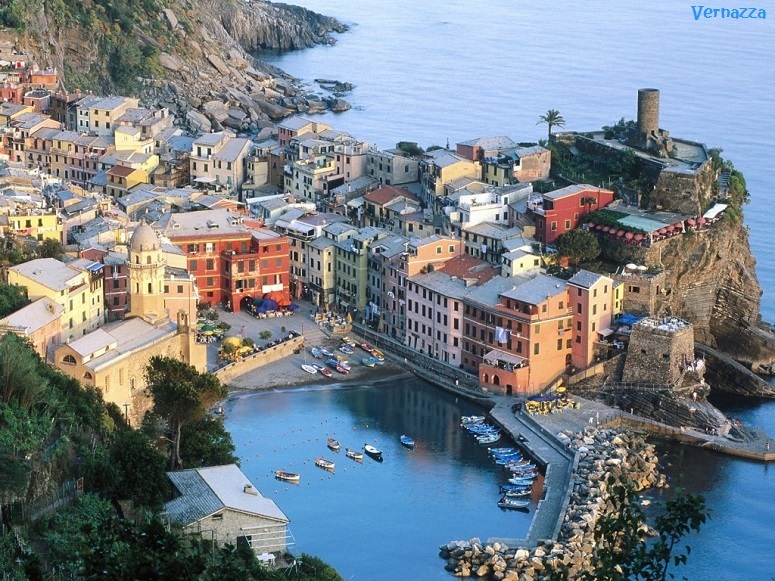 (Five Lands; Monterosso al Mare, Vernazza, Corniglia, Manarola and Riomaggiore). 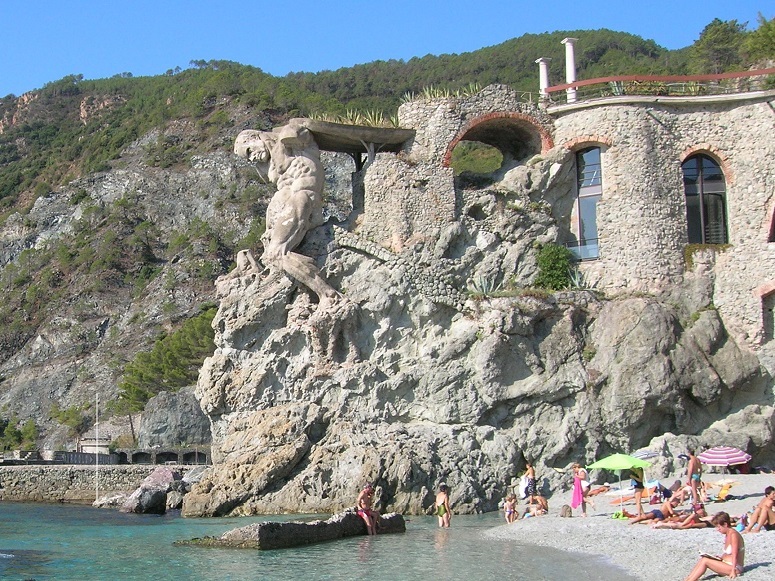 Monterosso (La Spezia province) is known for its elegant villas. The area of Fegina, in particular, has developed into a typical bathing resort with all commodities. 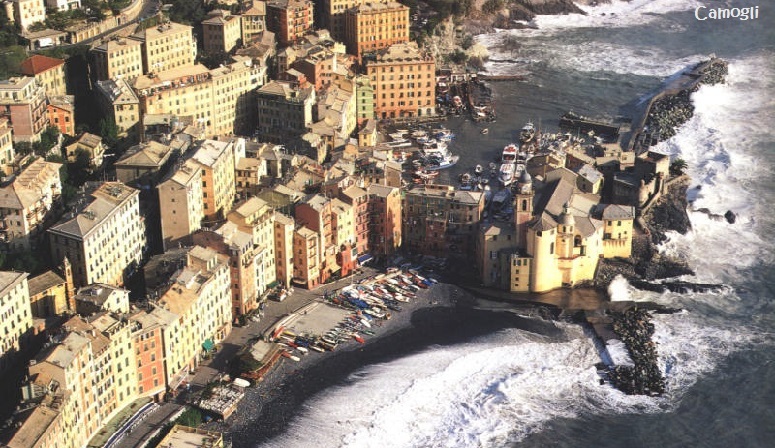 Gathered around the little square that opens onto the small tourist harbour, Vernazza has been renowned for its wines since the times of the Romans. As evidence of its ancient maritime traditions is the small picturesque port . The old town bears defensive structures. 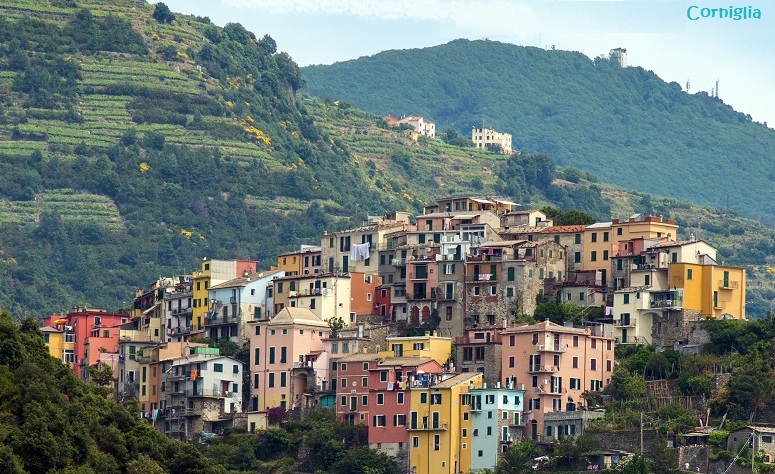 Perched on top of a promontory is Corniglia, the towns also produces excellent wine such as the Cinque Terre DOC, the Pollenza, and the popular Sciacchetrà. The famous nudists' beach, known as Givano Beach lies just below. 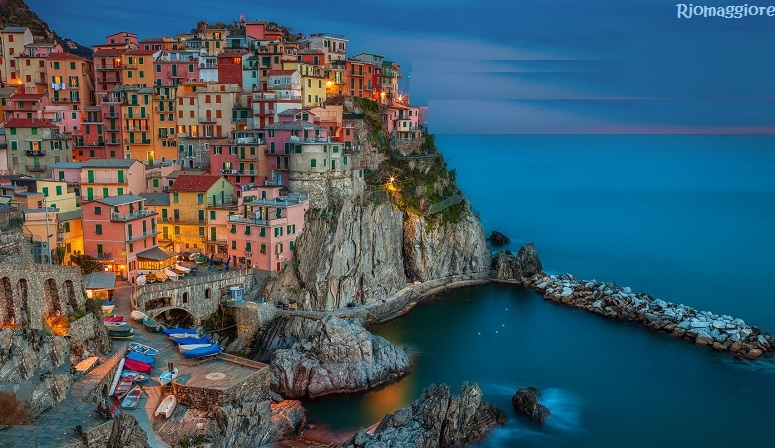 Manarola is a fine example human manipulation of a harsh environment that is now made up of generous soil, terraces and vineyards and orchards. Tourists can enjoy awe-inspiring landscapes from the Punta Bonfiglio headland, or from the churchyard of Sanctuary of Nostra Signora della Salute di Volastra'. 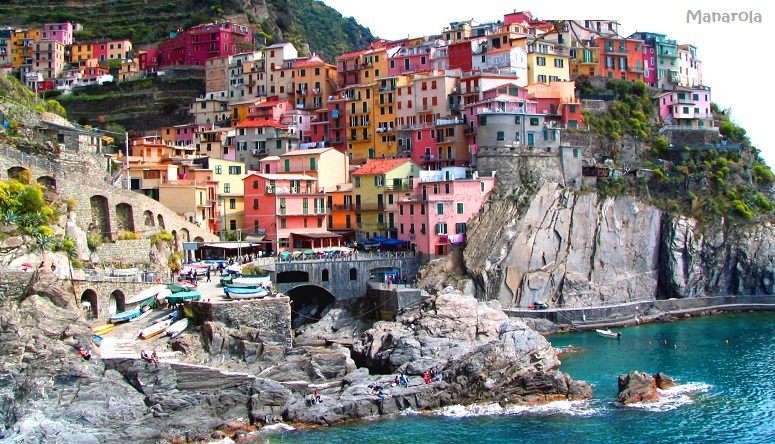 Of the five costal towns, Riomaggiore is the most famous. It is the start of the "Way of Love" (Via dell Amore). 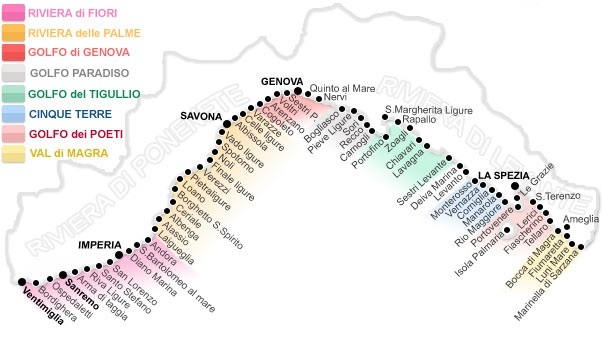 The trekking route leading to Manarola. Another route not to be missed is the Sentiero Azzurro (Blue Trail), traversing the National Park of le Cinque Terre. Gulf of the Poets. (Gulf of La Spezia). 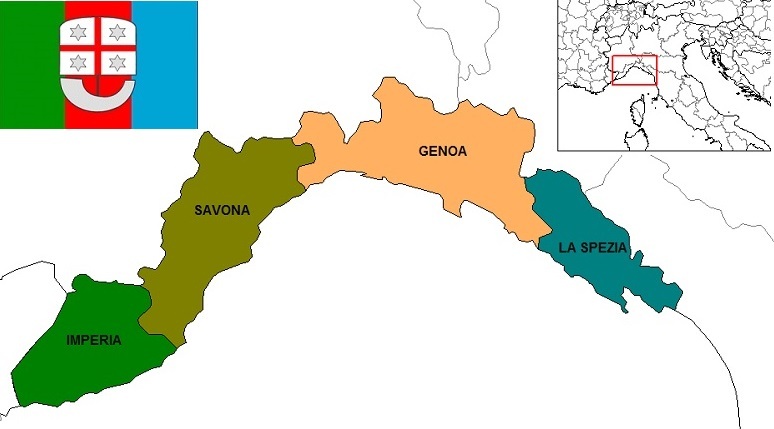 The Gulf of Poets is one of the four partitions subdividing the province of La Spezia, along the Riviera of La Spezia with the Cinque Terre, the Val di Vara and the Magra valley. A heaven of natural landscapes where poets and artists would seek solace and inspiration, hence the name. 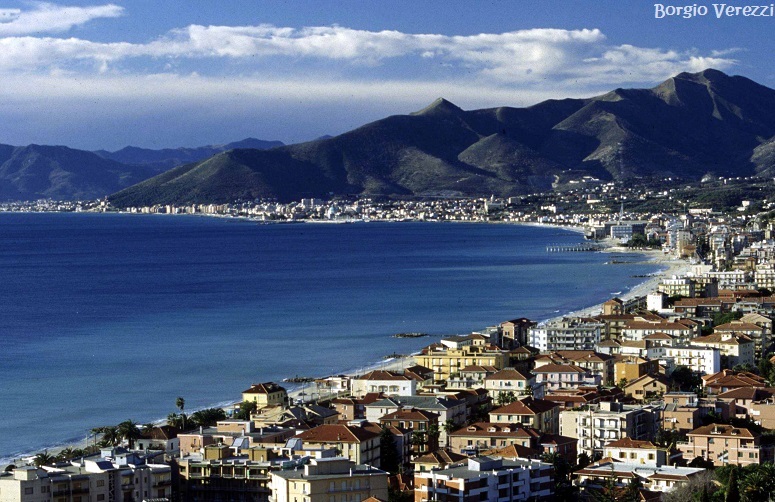 The Gulf is a wide and deep inlet on the coast of the Ligurian Sea, the eastern end of Liguria region. 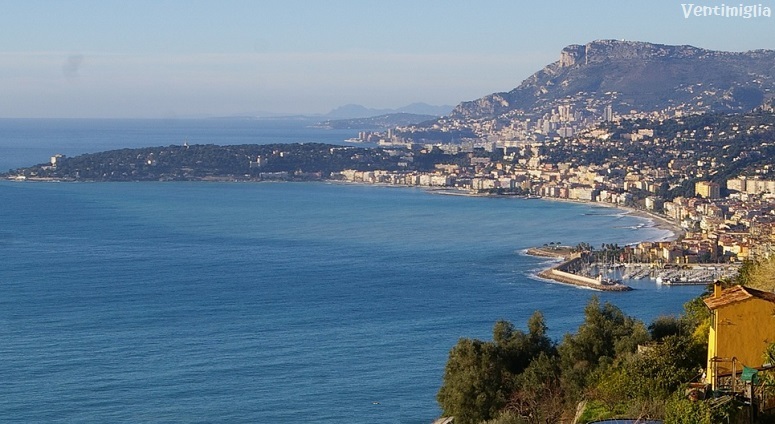 The Gulf takes its name from the city of La Spezia, located centrally in the bottom of the bay itself. 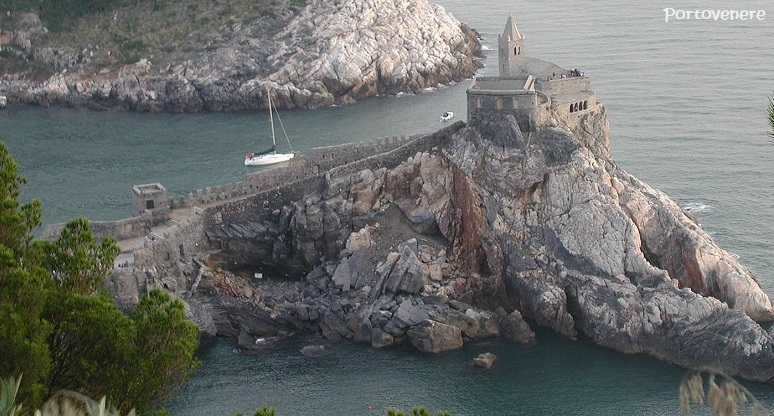 Portovenere - A tourist resort at the end of the rocky slopes enclosing the northern side of the gulf of La Spezia. The village is dominated by the powerful bulk of the castle. Opposite lies the beautiful island of Palmaria, full of caves and sea stacks. 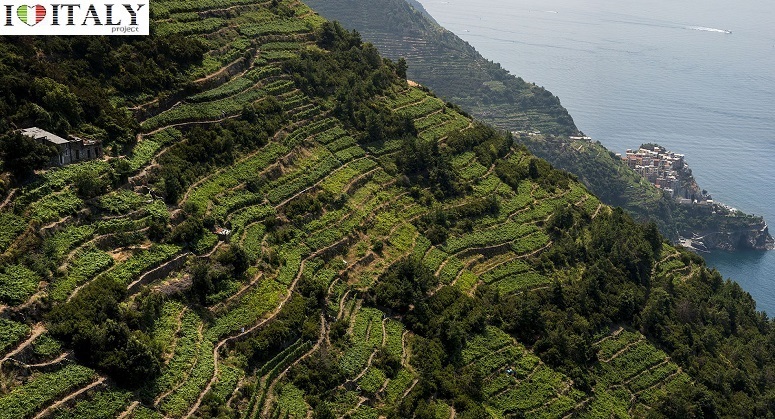 Liguria also produces excellent extra-virgin olive oils and quality wines, like Ormeasco, Rossese, Vermentino, Ciliegiolo, Bianchetta Albarola, Pollera Nera and Pigato . 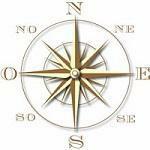 Our dilemma : How can we save our future without sacrificing our past ? The documentary Film on the Cinque Terre By Sharon Boeckle. Imperia Province (Riviera dei Fiori - The Riviera of Flowers). 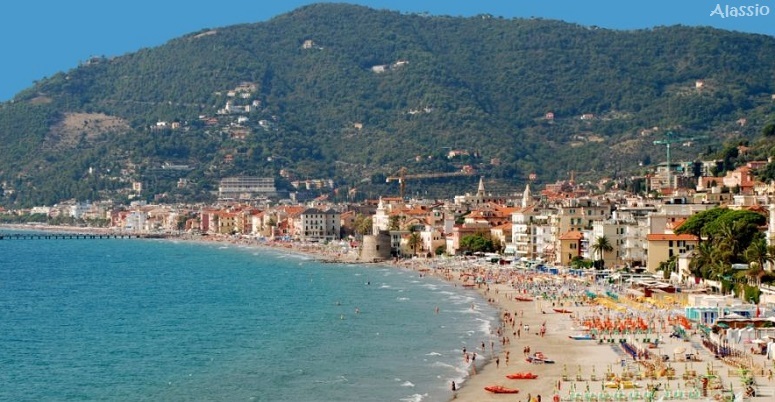 Ventimiglia is a popular summer destination for tourists on the French Riviera. Particularly popular is the weekly street market (held on a Friday), along the seafront of the new town. Bussana Vecchia -This characteristic, almost uninhabited town was almost destroyed by an earthquake in 1887. It was abandoned until the 1960's when a group of Italian and foreign artists restored some of the buildings. Today the town houses workshops and studios where a variety of crafts are made. Dolceacqua is a typical medieval village in the Nervia valley. The oldest part of the village, at the foot of Mount Rebuffao, is dominated by Doria castle. 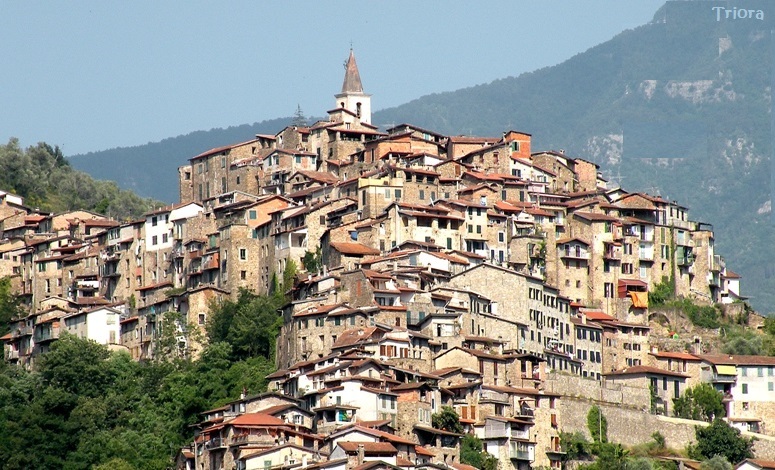 The most modern, called Borgo, stretches out uphill on the opposite. Triora - Il villaggio delle streghe (village of the witches). This mountain town, in the upper Argentina Valley, retains a distinctive medieval town appearance with its narrow streets, arches , squares and sculpted portals. The town is a well equipped winter tourist resort. It is officially listed as one of Italy's most beautiful town. 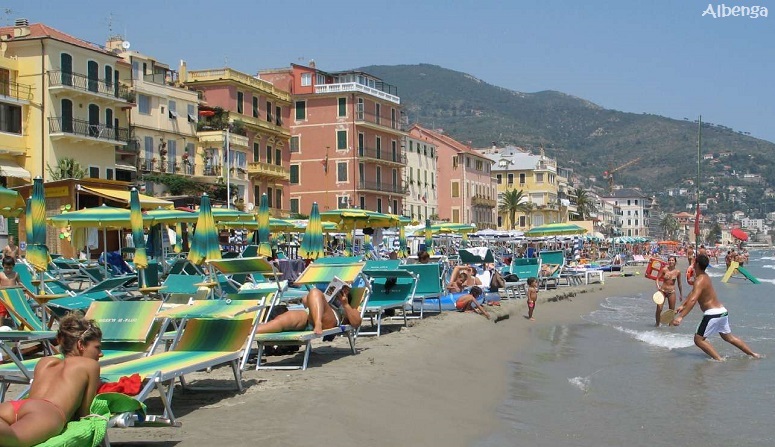 Alassio - An elegant tourist resort with a long sandy beach and modern facilities. Albenga - Located at the mouth of the river Centa where numerous roman and medieval ruins are still visible. Just offshore lies the island of Gallinara. Borgio Verezzi - Consists of two distint towns. Borgi on on the seaside and Verezzi on the hill. 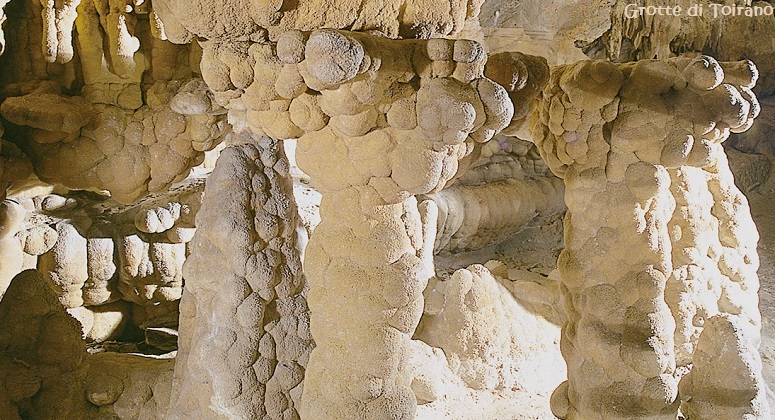 Grotte di Toirano - An extensive cave system located in the Varatella Valley, where traces of primitive human life where found. The most impressive is the Basura grotto. It is possible that magical propitiating rites where practiced in the 'Sala dei Misteri" (Mystery Hall). 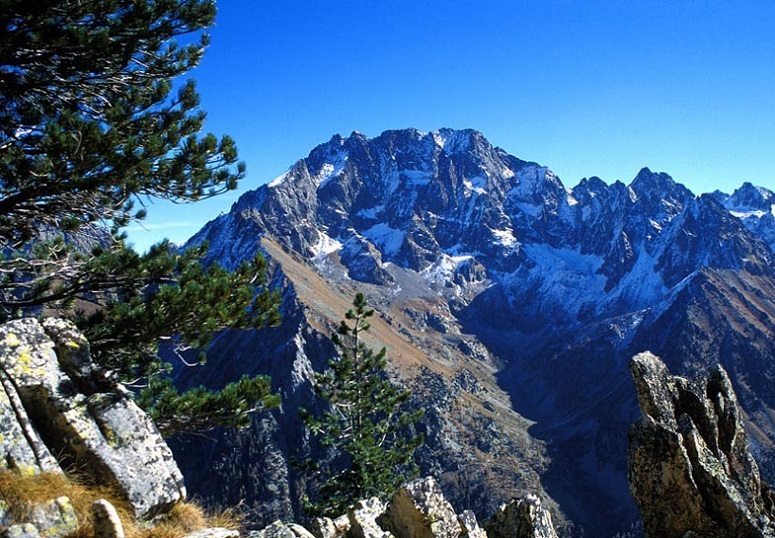 Sassella is a holiday resort in the Ligurian Appenines, surrounded by woods and pastures. The small fishing village of Camogli is located in the Golfo Paradiso. This distinctive seaside town retains its medieval town centre still intact. Chiavari: (key to the valleys, reflecting its strategic position). The old town with its characteristically narrow porticoed streets, is quite distinct from the modern district. 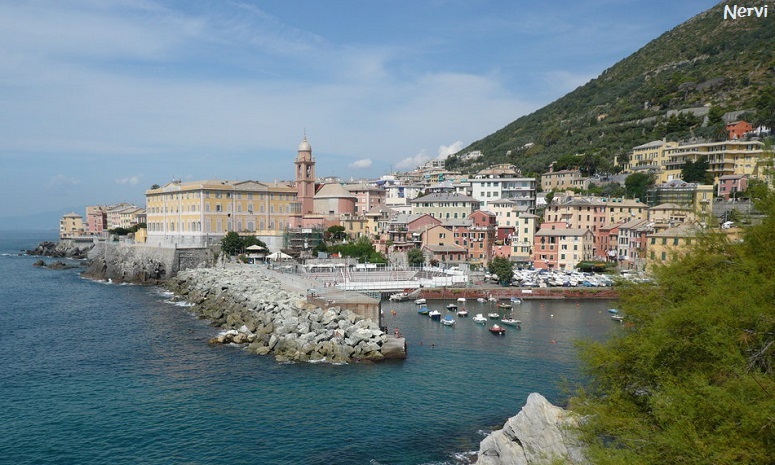 Nervi - A resort known for its natutal beuty and the mildness of the climate. Toward the hills, the villas of Gropallo, Grimaldi and Serra , lie amid wide green spaces covered with splendid gardens and exotic vegetation. 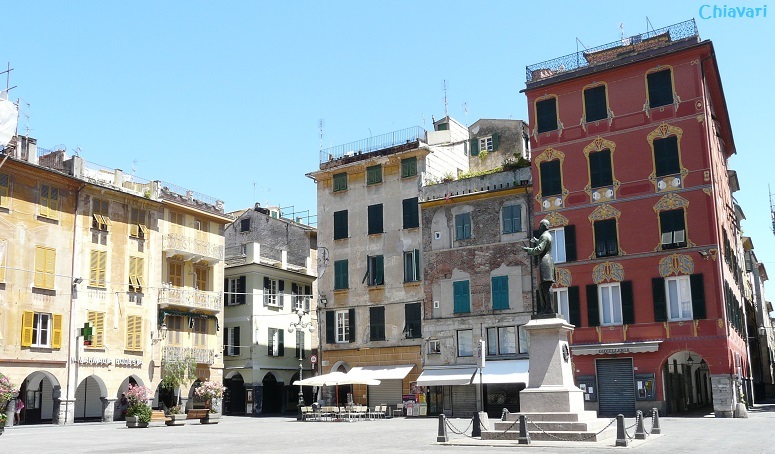 Sestri Levante is an ancient maritime and merchant town. Originally a small island with a promontory, it was later connected to the mainland. 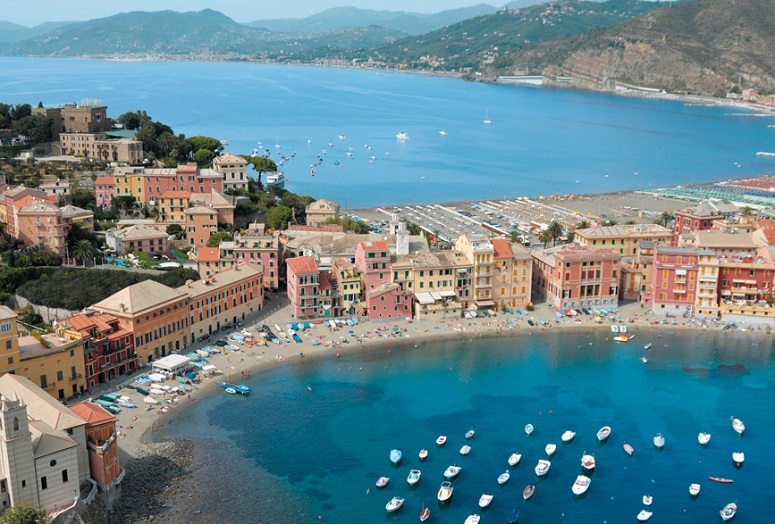 While nearby Portofino and the Cinque Terre are probably the best-known tourist destinations on the Italian Riviera, Sestri Levante is becoming quite a favorite among Italians. This once quiet fishing village is slowly turning into a tourist hotspot, developing an old and a new town. 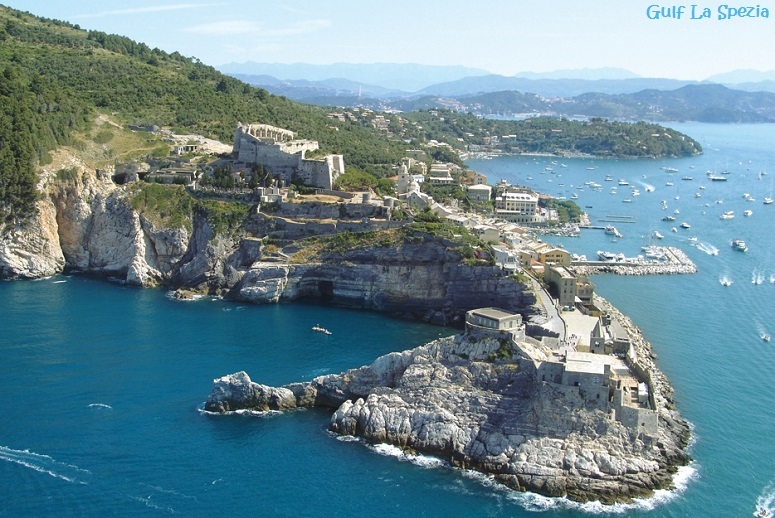 The province of La Spezia is the home of the famous Cinque Terre, a UNESCO heritage site (previos page), Portovenere and the Islands (Palmaria, Tino and Tinetto). 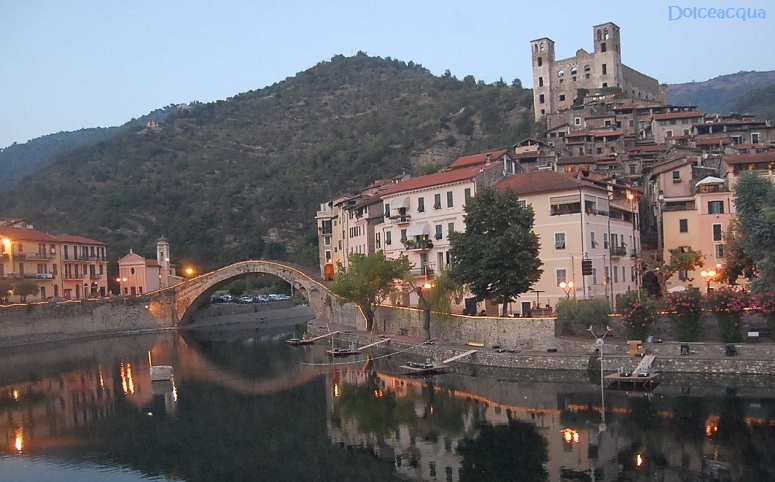 In the province we also find the villages of Brugnato, Montemarcello, Tellaro and Varese Ligure. 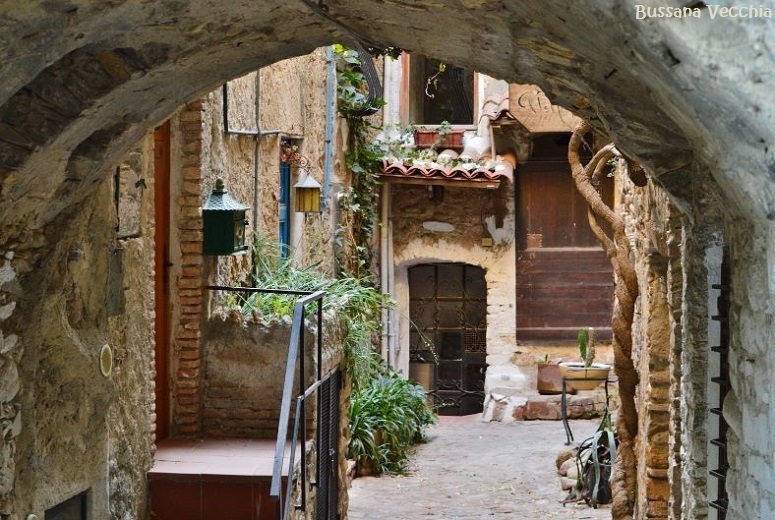 Lavaggiorosso has maintained virtually intact its typical structure characterized by row of houses connected by narrow streets and arched alleys. 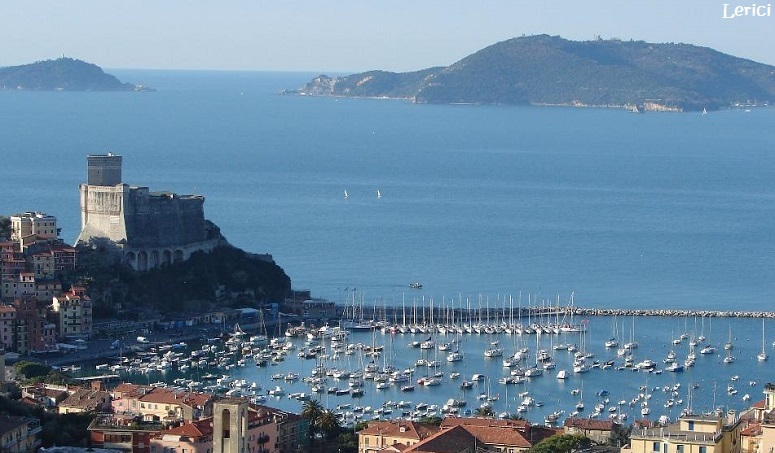 Lerici: Arranged in an arc around a cove on the east coast of the gulf. The medieval town faces a cliff on which stands a castle, a splendid example of medieval military architecture . Its connected to the Cinque Terre by ferry. Sarzana, owing to its position, changed masters more than once, belonging first to the city of Pisa, then to Florence, then to the Banco di S. Giorgio of Genoa and from 1572 to Genoa itself. A very old town on the edge of the plain formed by the lower reaches of the river Magra. 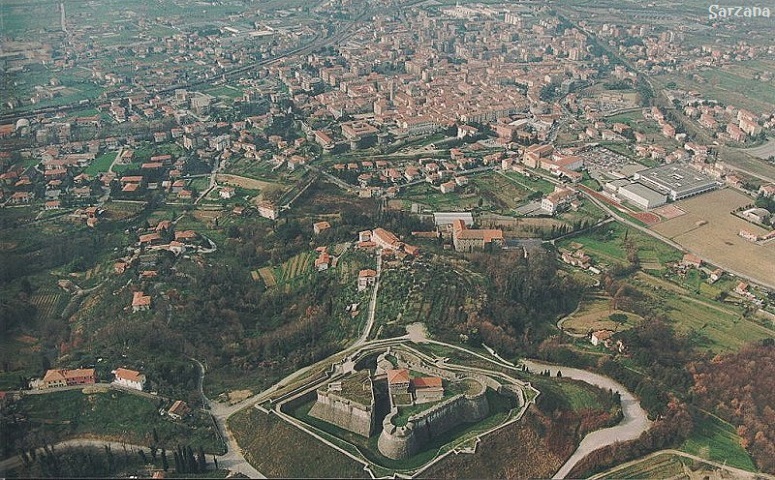 The town was a fortified citadel built by Lorenzo the Magnifique in 1488. During the German occupation of Italy in World War II, Sarzana was a center of partisan resistance. CONTATTI tramite il modulo sottostante. Contattateci tramite il modulo sottostante.